Providing exceptional legal services to individuals and businesses throughout New Jersey The attorneys at Dumont & Watson, P.C. help individuals and businesses plan for the future. Whether a real estate transaction, preserving the value of your assets for your family or dealing with business issues, our 60 years attorneys' combined experience achieves results. We can help you with matters involving: Real Estate - Residential, Commercial, Environmental, Land Use Estate Planning Wills, Trusts, Asset and Benefit Analysis Business Law - Formation, Contracts, Shareholders, Employment, Regulations Estate Administration Probate, Asset Valuation, Estate Taxes Efficiency, professionalism and commitment to success Our attorneys are committed to helping you accomplish your personal, financial and business goals. When you present us with an issue, we carefully review the facts, design a legal strategy, meticulously prepare your case and then promptly act. We emphasize efficiency that accomplishes your desired objectives. Communication is a key component of our client relationships When you retain an attorney, you rightly expect to be kept abreast of the status and potential outcomes. We regularly update you about new developments in your case and set realistic, honest expectations. We use email extensively. We are always available to respond to your questions and explain complex legal concepts more clearly. When you retain Dumont & Watson, P.C., you receive the benefit of their exceptional knowledge and the personal attention you deserve from your legal counsel. Affordable Legal Services Because this firm is small, it is able to provide legal services quickly and efficiently. We do not need to maintain high overhead and incur unnecessary expenses. Contact knowledgeable, experienced New Jersey and Pennsylvania attorneys Dumont & Watson, P.C. is located in Princeton, NJ and represents clients throughout New Jersey, including Princeton, Hamilton, Trenton, Pennington, East Windsor, West Windsor, Plainsboro, Lawrenceville, Hopewell, North Brunswick, Edison, New Brunswick, East Brunswick, Montgomery, Skillman and Hillsborough, and Mercer, Somerset, Hunterdon, Middlesex and Burlington counties. We also represent clients in Philadelphia and Eastern Pennsylvania, including Washington Crossing, Yardley, Lower Makefield, Upper Makefield, Bensalem, Solebury, New Hope as well as other locations in Bucks County. Call Dumont & Watson, P.C. at 609.688.8400 or contact the firm online to schedule an appointment. Helping your family plan With 60 years of combined experience, the attorneys at Dumont & Watson, P.C. possess in-depth knowledge about all aspects of estate planning and can help you with: Creating an estate plan Drafting simple and complex wills Establishing credit shelter trusts Drafting disclaimer trusts Irrevocable Life Insurance Trusts Qualified Personal Residence Trusts Guardianship and conservatorship Durable Powers of attorney, health care proxies and advance health care directives Creating the best estate plan Our attorneys review your family arrangements, financial situation and philosophical goals to advise you on the best approach to planning your estate. We thoroughly analyze your objectives and strategize the best means of: Transferring your assets Minimizing taxes Establishing guardianship for your minor children Supporting personal philanthropic causes Protecting your loved ones Writing your Last Will and Testament A Will provides you with the opportunity to distribute your property, establish care for your loved ones and otherwise express your wishes upon your death. A Will is especially necessary if you intend to leave property to somebody besides a blood relative, such as a domestic partner, friend or charity. If you die without a Will, state statutes determine how your property is distributed and a court may determine who cares for your minor children and even what happens to your beloved pet - decisions that might not reflect your desires. Our attorneys can draft an estate plan that ensures your intentions are honored. Establishing a trust Our attorneys evaluate whether specific legal tools can benefit your estate and discuss your many options, including living trusts, irrevocable life insurance trusts, credit shelter trusts, special needs trusts, disclaimer trusts and qualified personal residence trusts all of which may benefit your family or save taxes. Estate Administration If you have been named as an Executor or Trustee, you may have many questions as to the administration of the Estate. We can assist in this important task by managing the estate, providing postmortem planning to reduce estate taxes and preparing the Estate and Inheritance tax returns. In addition, the firm is experienced in Probate Litigation - - both in representing the Executor and beneficiaries. Choosing a guardian for your child When devising your estate plan, the care of your children is likely your foremost concern. We advise you on making crucial decisions about the financial support, protection and well-being of your children including naming a guardian who will raise your children according to your parental philosophies. Contact a New Jersey trusts and estates lawyer to protect your assets Dumont & Watson, P.C. is located in Princeton, NJ and represents clients throughout New Jersey, including Princeton, Hamilton, Trenton, Pennington, East Windsor, West Windsor, Plainsboro, Lawrenceville, Hopewell, North Brunswick, Edison, New Brunswick, East Brunswick, Montgomery, Skillman and Hillsborough, and Mercer, Somerset, Hunterdon, Middlesex and Burlington counties. We also represent clients in Philadelphia and Eastern Pennsylvania, including Washington Crossing, Yardley, Lower Makefield, Upper Makefield, Bensalem, Solebury, New Hope as well as other locations in Bucks County. Alexander M. Watson concentrates in trusts and estates, estate planning, residential and commercial real estate, and the representation of business entities and nonprofit organizations. His estate planning practice covers the full range of trusts and estates matters, including testamentary and lifetime estate planning, estate administration, planning for charitable giving, tax-exempt organizations and closely held business planning. 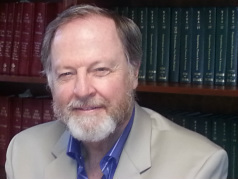 He has advised clients with respect to a broad range of complex estate planning issues, providing business planning for succession, A/B Trust Wills, Credit Shelter Trust Wills, Family Limited Partnerships, Qualified Personal Residence Trusts, Education Trusts, Charitable Remainder Trusts and Revocable Living Trusts. He brings a concern for individualized planning for families and businesses. In addition to his work in trusts and estates, Mr. Watson represents many individuals with respect to the sale and purchase of residential real estate for investment or homeownership. He also has represented many churches and other organizations seeking to acquire and maintain 501(c)(3) status. Mr. Watson also advises Continuing Care Retirement Communities (CCRCs) and Assisted Living facilities with respect to regulatory compliance and corporate governance. Mr. Watson graduated with a B.A. from Princeton University. After earning an M.A. from the University of London, he worked for a Legislative Study Commission for the New Jersey State Legislature. Mr. Watson co-authored the final report of the Commission which made recommendations to introduce legislation to prevent nursing home abuse and detect Medicaid fraud. Mr. Watson received his J.D. from Rutgers School of Law, and is admitted in both New Jersey and Pennsylvania. He is a member of the Mercer County Estate Planning Council; the Elder Law, Real Estate, Probate and Trust Law Sections of the New Jersey Bar Association; and the Pennsylvania Bar Association. Rutgers School of Law - Newark, New Jersey, J.D. Recipient of the "Bureau of National Affairs Student Award" for academic excellence.